The World Summit On Media For Children Foundation was established by Dr Patricia Edgar in 1999 to promote the World Summit movement. The Foundation is an independent, not-for-profit public company incorporated in Victoria, Australia. The Foundation's objectives are to encourage and promote the World Summit movement, as well as select and assist host organisations for future World Summits. The Foundation is led by Adrian Mills and its Board of Directors. Foundation Patrons use their influence to support the Foundation. General Manager, BBC North. Before returning to the BBC in 2009, Adrian was Chief Executive of LGT, Head of Children's for TVO and CBC Canada, and Chair of Summit 2000 - Children, Youth and Media Beyond the Millennium held in Toronto, Canada. Adrian has over 20 years' leadership experience in education and broadcast media, responsible for the delivery of programmes on television, radio and online. He has commissioned, scheduled and produced programmes for adults and children for public service broadcasters in Canada and the UK. A dual British and Canadian citizen, he is a UNICEF International Emmy Award winner and sits on the board of the World Summit Foundation for Children and Media. He is a member of the British Academy of Film and Television Arts (BAFTA). Chair: The Children's Media Foundation; Chair of the Second World Summit on Media for Children held in London in 1998. Director, Producer and Executive producer for BBC TV's Children's Programs for more than two decades, she specialized in Children's drama. In 1981 she became a founding member of the ITV company TVS. In 1986 she returned to the BBC as Head of Children's Television, responsible for all children's output. She has been a member of the Councils of BAFTA and the RTS and chaired the EBU's (European Broadcasting Union) Children's group for many years. She is a trustee of the Prince of Wales Foundation for Children and the Arts (CATA) and Chair of the Children's Media Conference (CMC). Senior Media Advisor for the Nordic Council of Ministers in Copenhagen Denmark. Director of The World Summit On Media for Children and Youth, Karlstad Sweden 2010. Per studied International Relations in Sweden with a focus on developing countries. 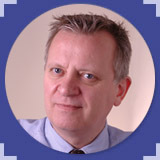 He has an M.A in Education from Greenwich University in London U.K. with focus on international project management. His studies include work with teachers in film, radio, television, theatre, journalism and advertising. He has written scripts for Swedish radio and television, articles for newspapers and media magazines, produced video and radio programs and written seven training books for media education in the Scandinavian countries. He lectures at Karlstad University in Media and Communication Studies. - Unesco - Member expert group for Unesco Media and Information Literacy Curriculum. Dr Mottaghi has 30 years of national and international experience in media/communication in the following areas: International Affairs, Media/Communication Development and Broadcasting, AV productions and co-production, ICTs, capacity building, networking, research, publications, negotiations, fund raising, news and programming for radio and television, social and cultural television programs and sports coverage. Dr Mottaghi was awarded with the Elizabeth R Award for Exceptional Contribution to Public Service Broadcasting. The award was presented by the Commonwealth Broadcasting Association (CBA) during its General Assembly in Tonga on 11th February 2009. Founder Citurna Productions and Imaginario. Patricia studied Social Science, in Colombia and Wales (UK) and Direction and Television Production at the BBC/ Open University and Elstree TV training centre. She has worked with the BBC as local producer for the series Made in Latin America. In 1986, with colleague Adelaida Trujillo she founded CITURNA PRODUCCIONES - a leading production house for children's and educational television as well as social, political and environmental documentaries in Colombia. Citurna's productions have been commissioned by European public TV, awarded international distinctions (those for children include INPUT, EMMY, IDFA, Prix Jeunesse and Prix Jeunesse Iberoamericano).Documentaries have been broadcast by more than 30 international channels. From the mid 90s Citurna, developed local television series with the support of multimedia educational strategies, aimed at youth and children, the priority audiences which need to be addressed, to promote social change in Colombia and Latin America. In 1999, Patricia with other important professionals, created Imaginario, a multidisciplinary, non profit organization to promote the use of television and media for social change and development. Imaginario's activities include public debate, capacity building and influencing public policy; production, knowledge management and networking. Since 2000, Imaginario and Citurna have organized TV de Calidad, Colombia's annual international TV screening conference, which showcases the Prix Jeunesse Suitcase and INPUT and brings leading children's television experts and projects from all over the world. Since 2004, Imaginario has led - with the support of UNICEF, the Prix Jeunesse Foundation, the National TV Comission and the First Lady's office - the Compromiso Nacional de Televisión de Calidad para la Infancia en Colombia - a national commitment to improve the quality of children?s television in Colombia. Patricia also presides over a voluntary organisation, Bibloamigos, friends of the Bogota public libraries (www.bibloamigos.org). The Al-Thani Professor of Communication, Professor of Psychology and Professor of Human Development and Social Policy and Professor of Medical Social Sciences; Director, Center on Media and Human Development at Northwestern University. Ellen is a leading scholar of the role of media in children's development and serves on a variety of national and international boards and committees on children's issues. She is co-principal investigator of the Children's Digital Media Center project funded by the National Science Foundation (2001-2011) and was co-principle investigator on the National TV Violence Study (1995-1998). She has published widely in communication and psychology journals on children's media issues. Ellen was Dean of the College of Communication at the University of Texas from 1993-2004 and Executive Vice Chancellor and Provost at the University of California-Riverside from 2004-2009. Before joining the faculty at Northwestern in March 2010 she was Distinguished Professor of Psychology at the University of California-Riverside. 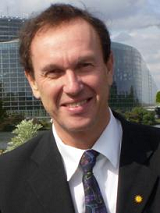 Dr. Wartella currently serves on the Board of the World Summit Foundation, the Academic Advisory Board of the Children's Advertising Review Unit of the Council of Better Business Bureaus, the advisory boards of the Rudd Center on Food Marketing and Childhood Obesity at Yale University and the Center on Media and Children's Health at Harvard University. She is a Trustee of Sesame Workshop and serves on the PBS Kids Advisory Board. National Managing Partner - Holding Redlich, Director - Clemenger Group Limited, Director - Victorian Rail Track Authority, Trustee - Melbourne Cricket Ground Trust, and Chair - Melbourne Community Foundation. Ahmad Jailani Muhamed Yunus (Member). PhD (Landscape Ecology and Environmental Management), Hiroshima University, Hiroshima, Japan. 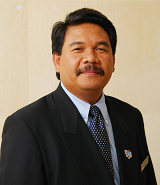 Currently, he is the Deputy Director-General of Broadcasting (Strategic), Department of Broadcasting Malaysia. Dr. Ahmad Jailani was elected as a Vice-President of the Asia-Pacific Broadcasting Union (ABU) at the 2012 ABU General Assembly in Seoul for three years term as from 1st January 2013. Hence, by virtue of his position, automatically, he sits as ABU's "Board of Directors" known as the Administrative Council, which comprises 14 Full and Additional Full Members including RTM. 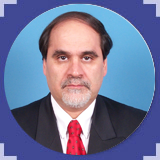 Dr. Ahmad Jailani has also been appointed to the WSMC Foundation Board of Member. Prior to this, Dr. Ahmad Jailani has held various public positions in the capacity as USM's tutor for Distance Learning, IDEC Tutor of Hiroshima University, Japan, an Assistant Secretary of the Public Service Commission and an Assistant Director of the Public Service Department of Malaysia respectively, senior programme coordinator, Head of Centre Programme for Local Government, Environment and District Management as well as Head of Programme for Environmental Management. Senior Executive Programming Asia Pacific Broadcasting Union. Vijay Sadhu joined the Asia-Pacific Broadcasting Union (ABU) in 2005 to take up the position of Senior Executive Programming. She initiated the radio programming activities in the Union, creating several forums and devising a wide range of activities. As a part of this, she organises a number of radio programming conferences and content developmental workshops every year, including the IRIB Radio Forum. She has served on the jury panel of prestigious international radio competitions like the New York Festival, Iran International Radio Festival and the Turquoise Festival of Turkey. Vijay has presented papers in several international conferences and gatherings of experts from all parts of the world. She is quite well known among the broadcasting industry in the region. She is quite well versed with the impact and the needs of content for digital radio. Her forte is international interaction with broadcasters and industry professionals. 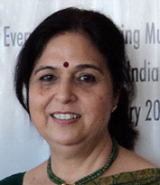 Vijay Sadhu started her media career in 1980 in All India Radio - Doordarshan, the national public broadcaster of India. As a Programme Executive, she was responsible for conceptualising, directing and creating TV and radio programme content. She also took up management responsibilities later. She has vast professional experience in the field of radio and television programming and broadcasting, having directed and produced more than 1400 radio and TV programmes in her career. As an artiste, Vijay has made many public performances playing on Sitar and on electric guitar. She holds a Masters degree in Indian instrumental classical music.